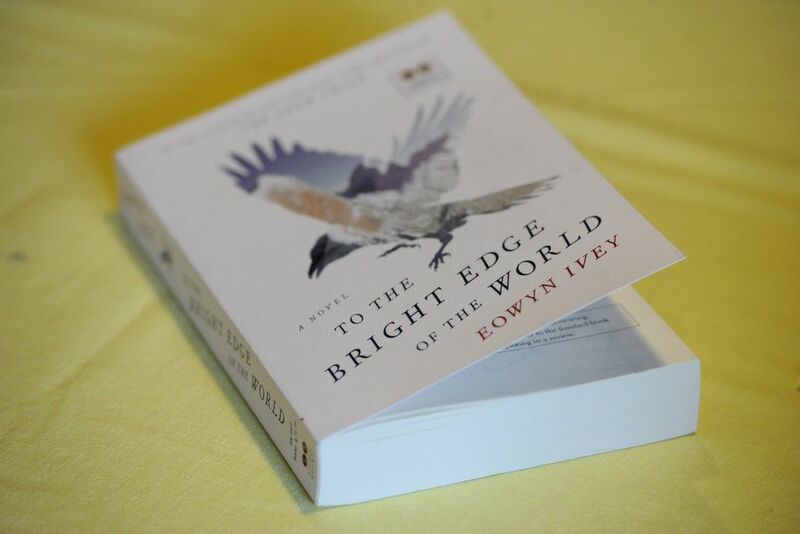 Spending time with Eowyn Ivey forced me to admit to myself that I'm a snob. I couldn't believe such a sweet and humble person — a Mat-Su Valley girl — would create a novel that, I believe, is the best ever written about Alaska. I was transported by "To the Bright Edge of the World," hearing the voices of the characters as if they had passed through Ivey like spirits. But as a writer, I knew that seeming magic was not magic at all, but the sign of great skill. Ivey's leap to international literary stardom is already a legend. Attending the Kachemak Bay Writers' Conference with other hobbyists, she gave chapters of an unfinished novel to an agent to read overnight. The next morning, her career was on its way. That novel, "The Snow Child," was a big best-seller, translated into more than two dozen languages, and a finalist for the Pulitzer Prize. The new novel is better, a more mature and complex book, its plot seemingly inevitable, as if found rather than made. An 1880s exploration of Alaska puts an Army Colonel undeniably in contact with Alaska Native spirituality, with animals becoming people. That mythic time, dangerous and real, contrasts to a present time-frame in which Alaska's grandeur has been flattened and drained by roads, science and the Colonel's own conquest. Ivey's protagonist works his way upriver, but not primarily to burrow into issues of race, as in Conrad's "Heart of Darkness. " Her model is Odysseus, the hero of the Greek epic on a long, mysterious journey home, discovering the hidden mechanisms that make the universe work. Another half of the book comes from the perspective of the Colonel's pregnant young wife, left behind, but also haunted by the strange world he has entered. The couple's linked peril makes for compulsive page-turning even as the novel explores its deep, troubling themes. Last month I drove to Chickaloon through the golden birches of fall, up the Matanuska River, to interview Ivey for a third time, seeking an answer to my own mystery — the mystery of where this amazing book came from. But I also wanted to see where she works. The house perches on a mountain like any backwoods Alaskan's place, the gravel drive scattered with gear and skins from successful hunts. A big dog rushes up. Ivey and her husband, Sam, have been building the place for years, beginning with a small cabin, and still have projects half-finished. Sam is a biologist for the Alaska Department of Fish and Game. They've been a couple since Ivey, now 43, was in middle school. They attended Palmer High School together and Western Washington University in Bellingham. 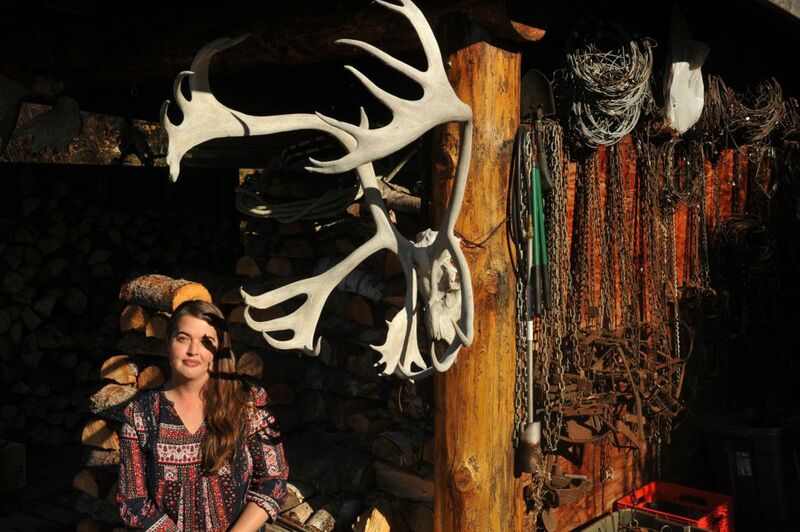 Ivey began college studying creative writing, but switched to journalism and spent her first decade of work as a reporter at the Frontiersman newspaper in Wasilla. Her stories of marriage, long separations and difficulties having children all come from Ivey's own life. Her daughters are 17 and 9 years of age now and she spends a lot of time driving them to activities, but otherwise works in a quiet house, far from the sound of cars. When I arrived, she had baked a batch of pumpkin cookies. Does such a life provide enough experience for a novelist? Ivey said she can learn what she needs from reading. She is extraordinarily well read, a devourer of serious books and classic literature, the best education for a writer. She quit the Frontiersman and went to work at an independent bookstore in Palmer because she wanted to write fiction and knew she needed to be surrounded by books and to get away from deadlines. She found the base material for "The Snow Child" in those shelves. 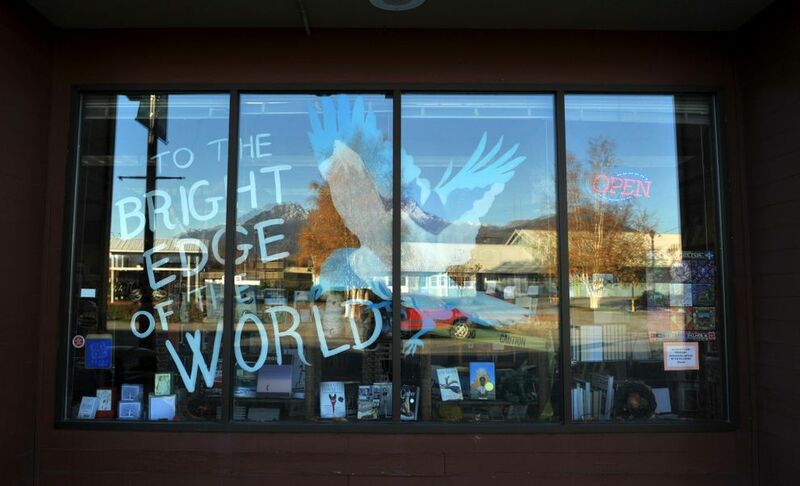 "To the Bright Edge of the World" also emerges from her reading. What she learned in obscure 19th century books populates her imagined world with tactile details. In her tiny study, some of the pictures and postcards that decorate the novel remained posted on a bulletin board. I had just finished reading the journals of the fictional Colonel and his wife, with those scrapbook items reproduced. For me, Ivey's office felt like a gateway to that past, which had seemed so real. I've written books, too, and I create characters there, and in these columns. Every depiction of a person in print is a creation, even when it sincerely represents what the writer believes is true about his or her subject. A good book feels like a window to a different place, but really the writer paints the image you see on the surface of the glass. Ivey writes about issues and places she knows a lot about. The scenery of both novels is familiar to anyone who has spent time along the Matanuska and Copper rivers. She floated the Copper with Sam to get it right in her head before she wrote "To the Bright Edge of the World." With those stories told, those places documented, she wondered in our conversation if she ever will write another novel. She said she won't unless she needs to. As yet, no story has taken hold of her to convince her that her career will go on. In that commitment to the truth lies much of the answer to the mystery I sought. Ivey is a thoughtful reader and a sharp observer. Her imagination is rich and her attention to the craft of writing dedicated. But most of all, she is committed to the meaning she needs to express. I hope — and expect — that her search will bring us another novel. If not, I understand. Truth is her magic, and it can't be forced.